Readiness activities for kids brings a big smile to some faces and to others an even bigger frown. But, we all like to feel ready for things: adventures, work, holidays, appointments, and more. Our own vacations start off better when we’ve got stuff prepped beforehand. No matter how ready we may feel for those days off, we don’t want to waste the least part of one just getting ready to go. School is a whole new adventure for kids. Undoubtedly, we want the school to be ready to welcome our kids at their state of development and to avoid pushing and stressing our little ones. Just like grownups, kids can benefit from some adult help. 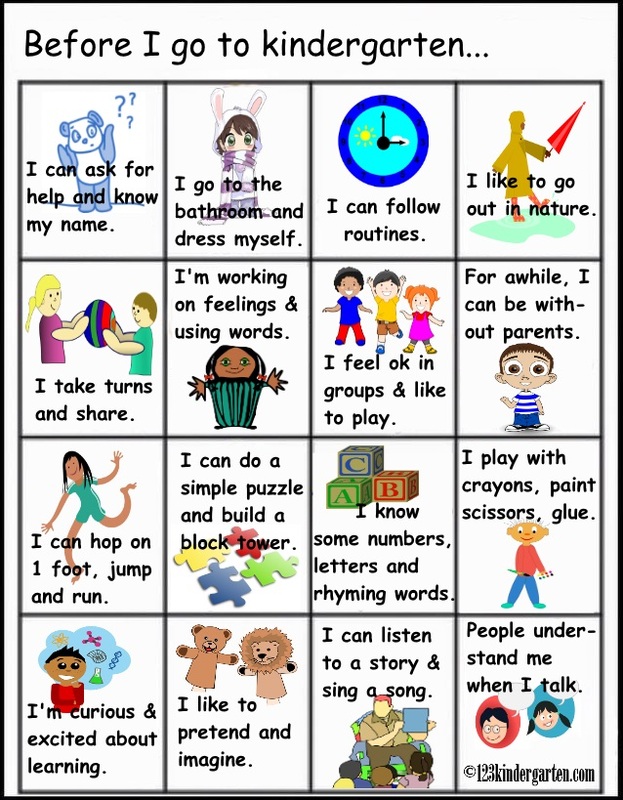 The calendar above has some suggestions for ways we can support young children. 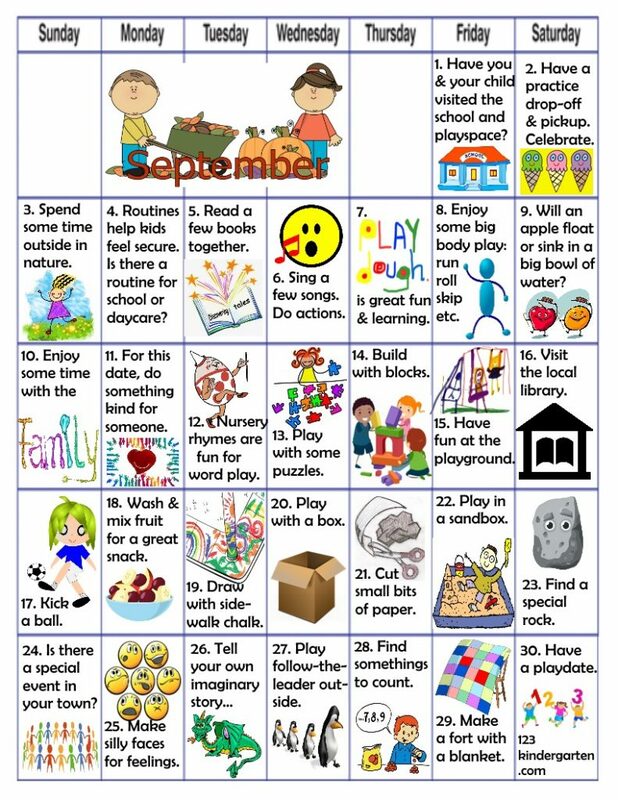 For each day this month, choose one of these prompts and use it for a play activity. For instance, for “know my name,” some ways to play might be rolling out letters in play doughor finding different words that rhyme like Abby-Tabby. For naming emotions, make different kinds of faces at each other and guess that feeling. Pretending and imagining can happen with something as simple as a play cardboard box. However you PLAY remember, this is the brain’s favorite way to learn. Isn’t a great bonus that it’s fun too? Of course, that could be Nature’s very clever and smart intention in the first place! 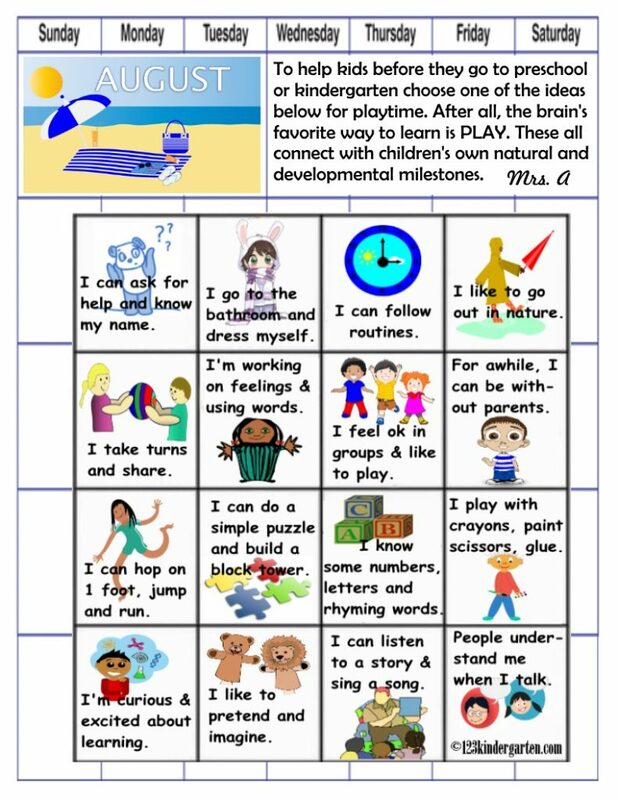 Some readiness activities for kids sponsored by child’s play is a clever and brainy way of getting ready for life’s next big adventure!